How to send free sms to worldwide without registration from internet? Today i am going to share how can we send sms (short message service) to worldwide (including nepal, india.) for free without registration. Yes it is possible through internet to send message (SMS) from one place to another place for free. There are lots of sites which provides free sms services but most of the sites ask for register to their site to use the free sms sending feature but there are also some sites from where we can easily send free sms to worldwide. The site i am talking about is aFreeSMS.com . 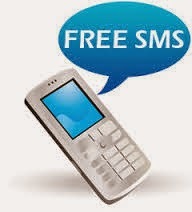 It is online International Free Text Message provider (free sms provider) allows you to send sms to worldwide for free. This Messaging platform is up 7days a week and 24 hours a day available and accessible anywhere around the world. This allow you to make your marketing strategies and broadcast to your clients from any places like, cafes, office, home or even overseas. Note: Ad blocker should be disabled for using this service.